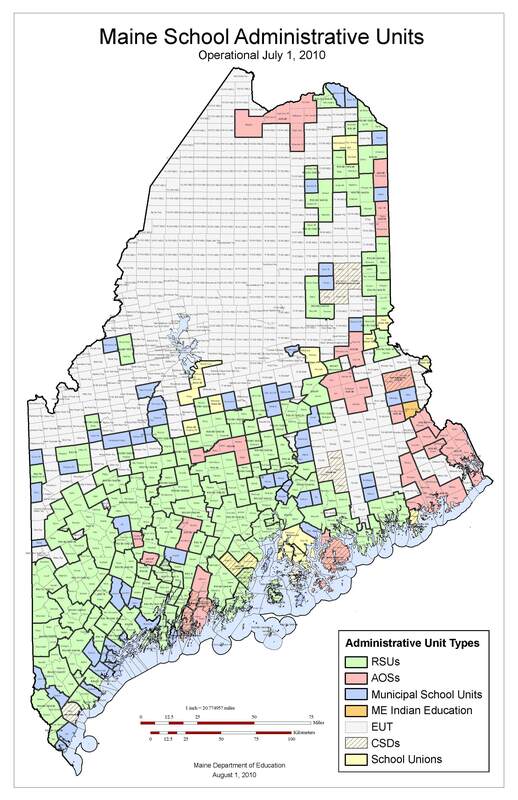 Along with board colleagues Judy Sproule, Gail Marshall, Paul Murphy, and Heather Jones, Hubbell is active with the MDI School System's legislative subcommittee which tracks state legislation and advocates on behalf of MDI's schools. He also is chair of the Regional School System board and manages the MDIschools.net website, a clearinghouse for Maine educational policy issues. Q: Most readers remember the work that your group did re-shaping the state's school consolidation law. You guys have outlasted one governor and two education commissioners. What's up now? A: Well, you're right, it's a new administration now and a new legislature. But our concerns are mostly the same - to keep a weather eye out for state issues that affect our schools, particularly those which potentially disrupt to our communities, harm our students, or shift burdens to our taxpayers. It's really not as entirely a defensive posture as it sounds but sometimes it feels like it. Old habits die hard. Q: For the reasons you mentioned, most people in this area are probably glad that MDI schools didn't end up having to consolidate with the rest of Hancock County and that we were able to keep each town's schools open and operating under local control. But, having won that fight, why does your group remain wary? A: We learned a lot in that campaign about how things happen in Augusta. Not least was that a lot of half-formed ideas get floated there by well-intentioned people who don't always have the perspective and experience with schools that we do. Like many of them, we're always looking for ways to improve our schools. Unlike them, we're charged with actually caring for school operations and making the improvements. 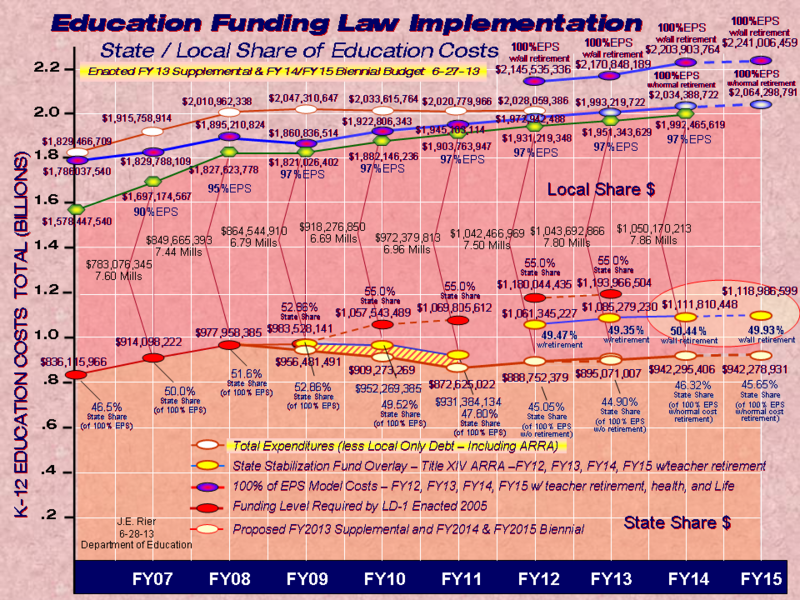 At the state level, education is perceived largely as a bureaucratic process that's always ripe for tweaking. We tend to see it more as a complete network of personal and community relationships. We're most wary of the unintended consequence. Q: So do you see yourselves - as school board members - always at odds with the state over education policy? A: Not at all. We're fortunate here, unusually fortunate, to have communities, board members, and administrators who believe in public education, believe that education represents a common good that repays the effort that we - as educators, taxpayers, parents, students, businesses, citizens - all collectively, put into it. To be responsible to that commitment we need always to be questioning and looking for ways to improve and better meet our community's needs. In that respect our motivation is just the same as the state's. We actually have many good friends and allies at the state level. Part of our effectiveness has come from showing these people that we're not heel-dragging obstructionists, that we represent our constituents' concerns honestly, and that we respect legislators' interests and know how to work collaboratively. Q: Do you see your advocacy as partisan? A: One of the things I like best about educational policy debates in Maine is that they frequently cut completely across party lines. Consolidation was a good example. Anyone who reads op-eds from individual MDI school board members will discern distinctly progressive sensibilities and nobody has represented us better in the legislature than Hannah Pingree and Elsie Flemings. Yet philosophically on many educational issues, some of our best and most thoughtful allies have been Republicans such as Senate President Raye, Senator Langley, and others like Representative Johnson from Greenville. While we weren't always in agreement, some of the most productive policy discussions we had were with Peter Mills. Before he became Commissioner, Steve Bowen and I worked together in the trenches and I respect him greatly. A: The Governor is a bit harder for me to read sometimes on policy. But he has repeatedly stated that, at root, he values public education and that he would like to make Maine schools the best in the nation. I'd like to take him at his word for that. Q: So what do you see as the most critical schools issues in this legislative session? A: The changes proposed to teacher's retirement benefits are important - if only because they represent yet another disincentive for our good teachers to keep teaching and because they potentially represent a cost shift to local taxpayers if we end up needing to maintain compensation levels to keep our teachers from leaving the profession early or moving elsewhere. There's a wider theme represented by a number of bills that seek to use new educational vehicles to divert public money to private hands. This I think raises alarming issues to communities about accountability, both financial accountability and educational accountability. We've testified against some of those and also against a bill that seeks to establish a sub-minimum wage and extended school-day working hours for students. But we're not always opposing bills. I've offered testimony in support of Maine's adopting the Common Core standards. We've supported extending the probationary hiring period for new teachers and giving them better evaluations. We've supported bills that would allow schools access to larger pools of health insurance. Q: What's a typical week for the MDIRSS legislative subcommittee? A: This is definitely the busy season. I do daily updates of news and comment on the MDIschools.net website. We attend about three work sessions or public hearings in a week, each representing at least a half-day commitment either on-line or in Augusta. Later in the week, when new bills and committee hearing schedules come out, we review those. Over the weekend we study the bills - I think we're up to 1500 so far in this session - to see which are likely to have important consequence to our schools. These we then read more closely and, for those we think critical, we summarize the concerns in individual responses to our legislators and foreward these to the school board to see if the full board wishes to weigh in. When the timing of meetings allows the full board to take a position, obviously it carries that much more weight with legislators. Q: Do other school boards do this? A: Not that I know of. I think MDI represents an unusual combination of special skills and sheer doggedness. But our constituents seem to appreciate it and legislators tell us that we're very effective and that our work is useful to them. So, for now at least, we're inclined to keep after it. We think our schools and communities are worth it.